I've tried a few MAC Sheen Supreme Lipsticks in my time and don't understand why they aren't raved about more - especially now the warm weather is here. 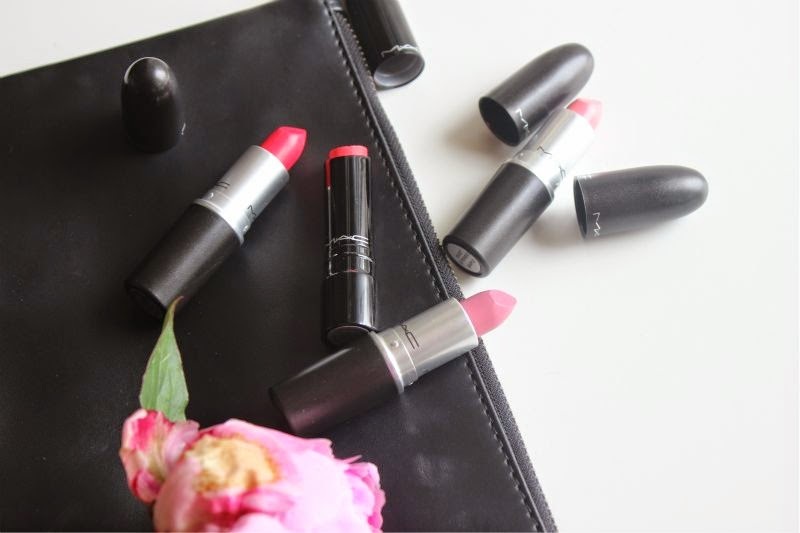 If you like light, non-sticky yet glossy and well pigmented lipsticks look no further. In the end I re-purchased MAC Sheen Supreme Lipstick in Full Speed (- find it here) which is a bright, watermelon pink. I bought this last winter and didn't like it all that much but I was brunette and paler in complexion and of course now kick myself for giving it away. 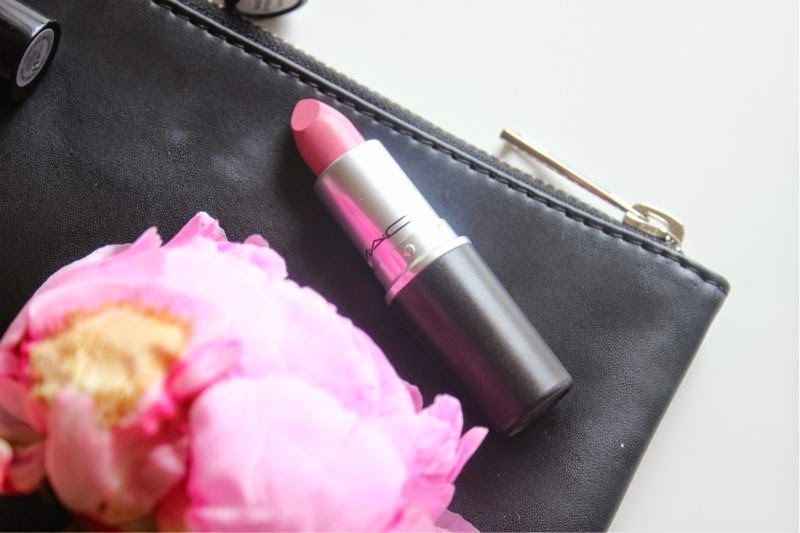 If you have a medium complexion or deeper this is a pink lipstick you need in your collection. To know me is to know that I adore MAC Angel lipstick and would happily wear it daily if I could, oddly MAC Snob Lipstick (- find it here ) has never appealed to me despite being such a similar shade. I think the thing that has put me off of purchasing this light milky blue toned pink is the fact it is much more opaque than Angel and undoubtedly more difficult to wear. Don't laugh but I bought this after reading it was a much loved shade of Drew Barrymore and Katy Perry. Both are utter babes and I am a sucker for a celeb tale or two. I will quickly state that Snob is no where near as flattering as Angel, once I figure out the best way for myself to wear this I will of course update with a full review but so far I'm not head over heels. I am slowly but surely getting into red lipstick shades but won't hesitate to add that most red lipsticks seem samey in my opinion. 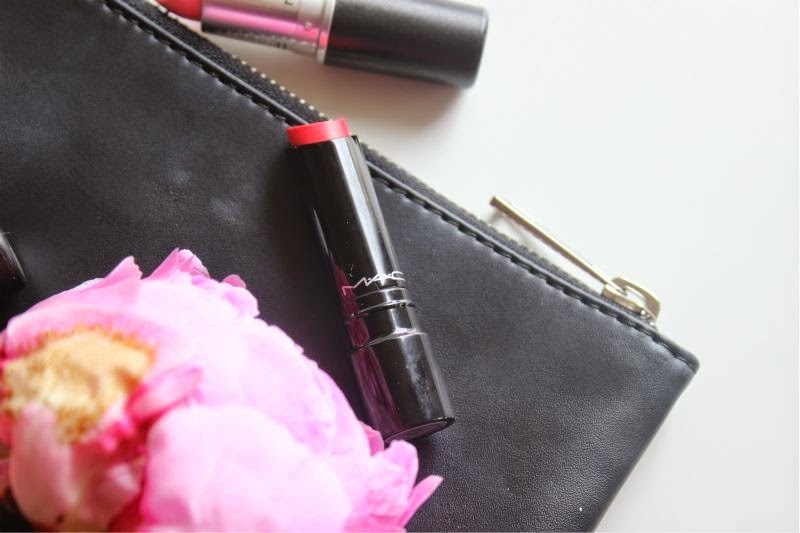 To say there is something special about MAC Relentlessly Red Lipstick (- find it here )is an understatement. I have never come across a shade quite like it. In some lights it is a bright red and in others a shocking pink, it shouldn't be so flattering and yet it is. As it is a retro matte it is of course quite a flat lip shade which again sounds rather horrific on paper but actually works so well with such a striking colour. 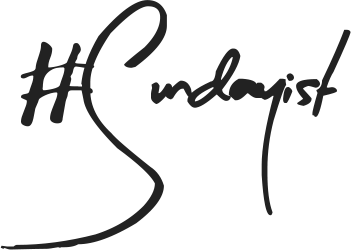 If you swatch one MAC lip colour this month let it be this. 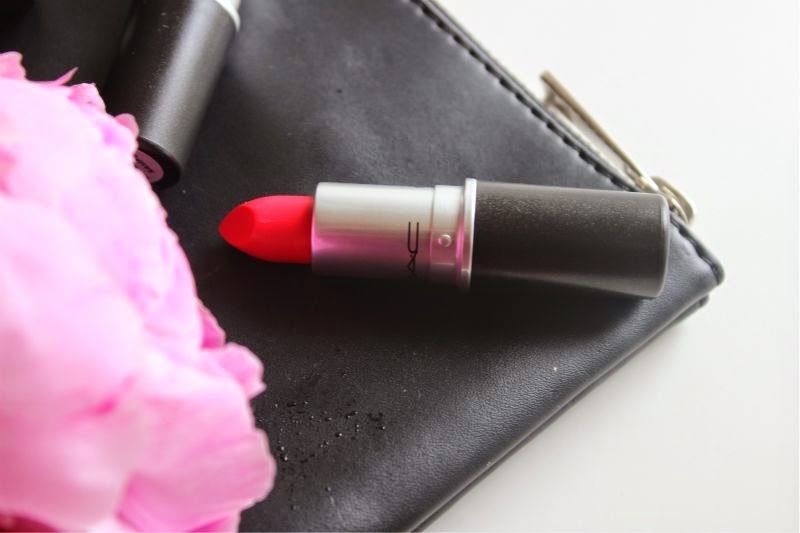 I am beyond excited to share this in a full review, I finally feel like I have found my perfect red lipstick! Lastly I walked away with one of the new shades from the MAC Playland Collection which I mostly skipped, I was not near a computer or counter when it launched and as a result missed out big time. I was lucky enough to be sent a press sample of MAC Sweet Experience which I foolish left in a restaurant (I've lost more lipsticks this way than I care to count) so when the sales assistant said they by chance had one in stock. All you need to know is that I frantically said yes. 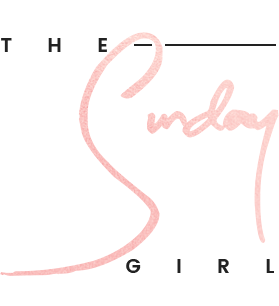 I won;t be reviewing this in full as it is pretty much sold out everywhere but Sweet Experience is the slightly more pink and milky toned version of MAC Flamingo. Do you need both? Probably not and to be entirely honest Flamingo which is now permanent is far easier to wear. I like Sweet Experience as I feel it compliments my blonde hair and blue eyes without looking to Barbie-esque. Oh the pink lipstick struggle is real. 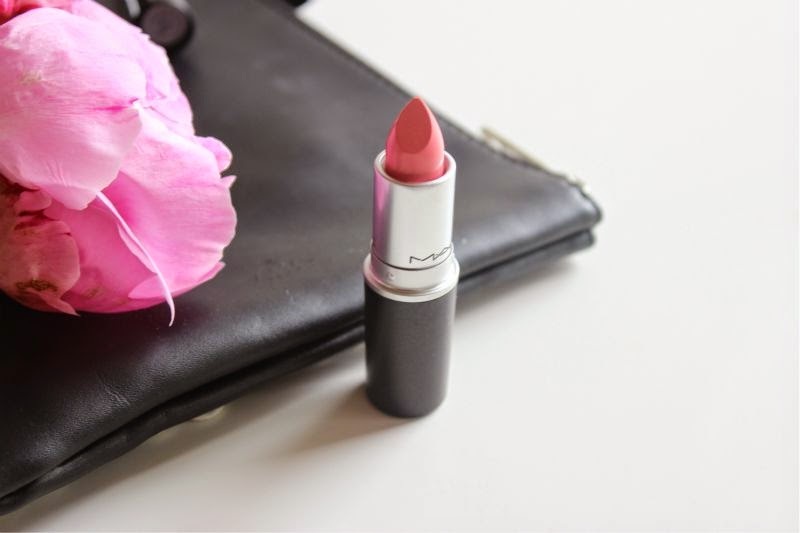 What MAC Lipstick shade tops your must have list?